Cats are attentionology tricksters. They make funny sounds that delight young children. The Cat’s Meow in Your Classroom. This trick is perfect for catching the attention of K – 2 kids. The Cat’s Meow in Your Classroom also helps children develop sensory skills and language arts appreciation. Before school one day, hide a stuffed toy cat behind books on a shelf in your room. …you hear a cat’s meow! Put on your best theatrical “performance” (no formal training needed) and tell the class to listen with you. Young kids will readily ride along with the trick. Ask if they hear the cat’s meow too. Walk to where you’ve hidden the stuffed toy cat and push some books aside to reveal it to the class. Use the cat’s meow trick as a hook into a lesson on the power of sound and the joy of language. Explain to the class that we are all drawn to sounds. Say the word sound. Ask students to tell you what sounds they think of at the sound of the word sound. Describe how repeated sounds, like a cat’s “meow, meow, meow” catch attention and create sound effects! Invite kids to mimic a cat’s meow. Kids love this activity! 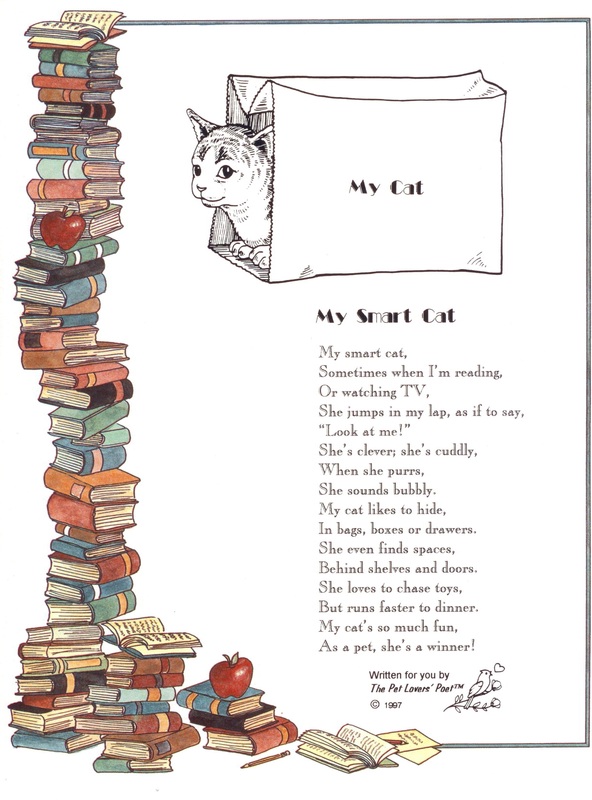 Read my poem, My Smart Cat, and invite the class to listen for words in the poem that connect with sound. She’s clever; she’s cuddly; when she purrs, she sounds bubbly. She even finds spaces behind shelves and doors. She loves to chase toys, but runs faster to dinner. My cat’s so much fun; as a pet, she’s a winner! Offering young children an opportunity to hear and mimic animal sounds is a fun and creative way to develop sensory and language skills, help relieve stress, and transition between lessons in K – 2 classes. May days remain for new features on The Attentionology Tipster.